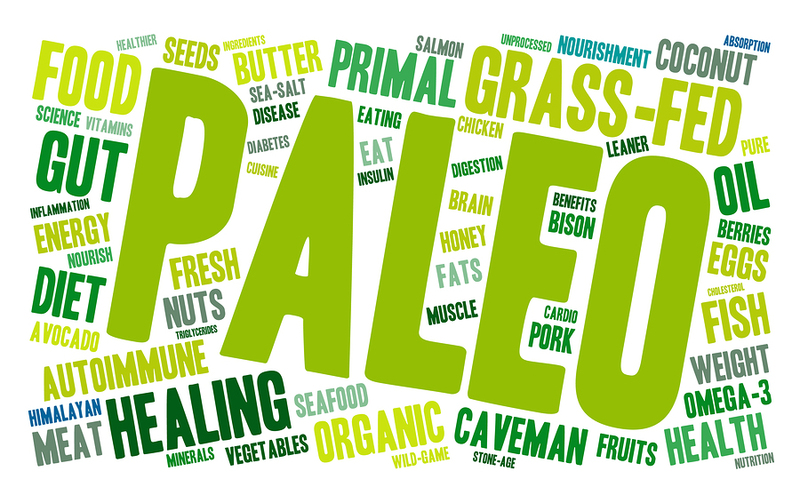 The Paleo diet has been gaining in popularity. I see many patients come into my office having tried it, but not quite getting the results that they hoped for or expected. Based on their experiences, I wanted to share what I think are the top 5 mistakes people make on the Paleo diet. Not eating enough vegetables. Meat & veggies are like yin and yang to each other. There’s evidence that the antioxidant chemicals in vegetables are what helps reduce the potential cancer-causing properties of meats. (Read more in this article I wrote after the WHO linked meat to cancer and nearly broke the internet.) I like the hashtag Stacy Toth at Paleo Parents uses on their Instagram account #morevegetablesthanavegetarian. Could you say the same about your plate? Not fully eliminating grains for at least 30 days. I see some folks who say that a Paleo diet didn’t work for them and then upon further investigation, they are still ‘cheating’ with a slice of pizza or having oatmeal for breakfast. Or maybe they are trying, but haven’t checked other foods for hidden gluten-containing ingredients- like sauces and salad dressings. As a functional medicine doc, I use a Paleo protocol as a way to jump start healing of a leaky gut and to reduce inflammation. The interaction of gluten proteins with the lining of the gut is happening on a microscopic, cellular level. This means, any amount of grains is too much. (Certainly if you can see enough of it to put it in your mouth it’s too much!) I support folks experimenting and finding out what works best for them and even finding ways of ‘relaxing’ a bit about food, but this should come after a full elimination period. So if you don’t see the results you want after 30 days on Paleo, but haven’t been honest about grain consumption, well please don’t tell your coworkers that Paleo failed you and is somehow all bunk. Ditto all of the above for dairy. Still relying on processed foods. Because of the increased popularity of the Paleo diet, a whole cottage industry as grown up around making Paleo processed foods. It’s a nice convenience, but it can be a reason people don’t achieve the results they want. Paleo bread might not have wheat or other grains in it, but the food has still been processed since it’s original form. As I tell patients- there is no Bread tree or plant that one can simply go and harvest loaves of bread from- Paleo or otherwise. Also, if you’re constantly making treats or using lots of almond flour to ‘bread’ things, you may be very quickly and easily exceeding your needed caloric intake with the fat content of the almonds (Fat is like what your first grade teacher said about glue- “a little dab will do ya!“) The goal is to have most of your food come from WHOLE sources with the most ‘processing’ it having gone through before you put it in your mouth is when you cook it. Beware of any foods that come in any package- but particularly a bag, a box or a can. If it bears a government-mandated nutrition label, that’s another clue that it’s no longer a ‘whole’ food. It’s not that these foods should never be apart of your diet, but the majority of your food intake should be real, whole sources, not processed foods. Not finding your best macronutrient ratio. Many folks assume Paleo is “low carb” or just another form of Atkin’s. I think that what sets a Paleo diet apart from just another Atkin’s diet is the emphasis on food quality and vegetable intake and also the emphasis on flexible macronutrient ratios. Though a Paleo diet is “low carb” compared to the S.A.D., the amount of carbohydrate can be flexible and based on an individual’s needs. For example, I think of 100-150g of carb/day as the ‘sweet spot’ that will be effective for most people, while still helping to maintain thyroid and adrenal health. However, in someone who is trying to address blood sugar issues or pre-diabetes, they may have a period where they need to go lower than that with their carb consumption in order to see results. Once they restore insulin sensitivity, they may be able to handle a slightly higher carbohydrate intake. The point is, we see a variety of macronutrient ratios in the diets of healthy, traditional cultures. Do some experimentation (with real, whole foods!) to find the ratio that works for best for you and bear in mind that this ratio may change as your health status or goals change. Not giving it enough time/expecting the quick fix. A Paleo diet can do wonders and change lives in very short order. But- usually when it has amazing results it’s because a person is reasonably healthy and still has good metabolic flexibility to begin with. If you have a chronic health condition that you have been trying to address for years, it’s not realistic to expect to see everything to be reversed within the span of a month. Many patients come to me with weight loss as their main goal. If they have had a pattern of chronic inflammation and immune system imbalance, it often happens that they have to heal from that before they can take on weight loss in a healthy way. Fat is the like an energy savings account for the body. If your body is getting constant signals that it is in crisis mode, needing to survive, it’s not going to give up or dip into that critical savings account easily. Be patient. Focus on healing and improving your health. Paleo is not another crash diet to try for short term results, but a sustainable philosophy and way of eating that can have powerful & positive impact on your life. I’d love to hear what you think. Have you made one or more of these mistakes yourself? (I know I have!) Is there another mistake you think people more commonly make than one of these 5? Let me know in the comments section! Low carb diets seem to carry some sort of undeserved apprehension lately, so it was really great to see this article making the rounds on social media this week. Of course, this probably has to do with the fact that “low-carb” and Atkins have unfortunately become synonymous- like using a “Kleenex” instead of a tissue and “Chapstick” as opposed to lip balm. Let’s clear that up right here and now- Atkin’s is a type of low carb diet, but not all low carb diets are Atkin’s. My theory is that the apprehension comes about because most of us know someone who lost a ton of weight on Atkin’s- then gained it all back when they resumed eating “normally” again. The implied assumption then, is that Atkin’s (and by extension all low-carb diets) doesn’t work. This is a logical fallacy and is just plain wrong. Let’s turn it around for a moment and make the opposite assumption. If eating “normally” is what caused a person to gain excess weight in the first place, doesn’t it make more sense that their return to “normal” eating after a low carb diet is a much better reason for why they gained that weight again? Emerging research is corroborating this assumption. The meteoric rise in obesity rates seems to originate in the late 70s- right around the time that policy recommendations were being implemented that vilified cholesterol, saturated foods and animal products. The 80s were the heyday of the low-fat craze, with new “fat-free” Frankenfoods being developed at an unprecedented rate. Obesity has continued to skyrocket despite our adoption of these policies and low-fat foods. Yet, in Sweden, up to 23% of the population embraces a high fat, low carb diet. And while obesity rates continue to climb steadily elsewhere in the world, Sweden is actual seeing a decline in their obesity rate. What we know about the biochemical mechanism underlying this phenomenon also reinforces low carb diets as the answer to lasting weight loss and better overall health. Insulin is a hormone that is released in the presence of carbohydrate and to a lesser extent, protein. (Notice that fat does not provoke an insulin release.) Insulin’s job is to lower blood sugar. It does this in two ways. First, by triggering uptake of digested carbohydrates (glucose) into the cells to be made into energy to fuel them. But it also acts as a storage hormone, causing any excess sugars to be cleared from the blood and stored in the fat tissue as triglycerides for later use. This where many folks run into problems losing weight. They overeat carbohydrates, keeping insulin high and promoting storage of any excess carbohydrates and even calories, as fat. A high fat, low carb diet by contrast reduces the need for insulin. In the short term, this means less excess insulin to promote fat storage. Long-term, less insulin means less stimulus for the development of insulin resistance & type 2 diabetes. The reputation of low carb diets also suffers from mistakenly assuming that saturated fats and cholesterol clog arteries. While it’s true that cholesterol is the main constituent of the arterial plaques, that doesn’t meant cholesterol causes the plaque. The analogy I use is of spackle. You don’t blame the hole in the wall on the spackle just because it is there plugging the hole. The same goes for cholesterol, which did not cause the “hole” in the artery. This damage is more likely to come from elevated blood sugar, elevated insulin or even turbulent blood flow in an area due to poor mobility and a sedentary lifestyle. We are left with the real culprit- the return to so-called “normal eating.” If people return to anything that approximates the Standard American Diet- they are likely returning to a diet full of bread, pasta, and other processed foods. I’ve worked with many patients who think they ‘eat healthy.’ When I investigate this further, they eat oatmeal for breakfast, a sandwich for lunch and often pasta for dinner. They’ve assumed that because their meals were “low-fat” they were healthy. Meanwhile, what they actually ate were carbs, carbs and more carbs. No vegetables, certainly nothing with much color, and they’ve insured that insulin level spiked several times throughout that day (with resultant plunges as well). The S.A.D. averages over 300g of carbohydrate per day. The health benefits of “low-carb” can start with carbohydrate levels as high as 100-150g/day. Atkin’s and ketogenic diets, also known as ‘very low carb’ are often under 75g of carbohydrate/day. If one’s primary carbohydrate sources are from vegetables instead of processed grain products, it can be very easy to sustain a healthy diet of 100-150g/day of carbohydrate. Some can even get by on less by including increased levels of high quality fats in their diet. By finding a healthy level of carbohydrates that works for you, you can achieve lasting weight loss while improving your health! Do these symptoms of a hypothyroid sound all too familiar? You’re tired all of the time. You’re hair is thinning or falling out and you don’t know how to make it stop. 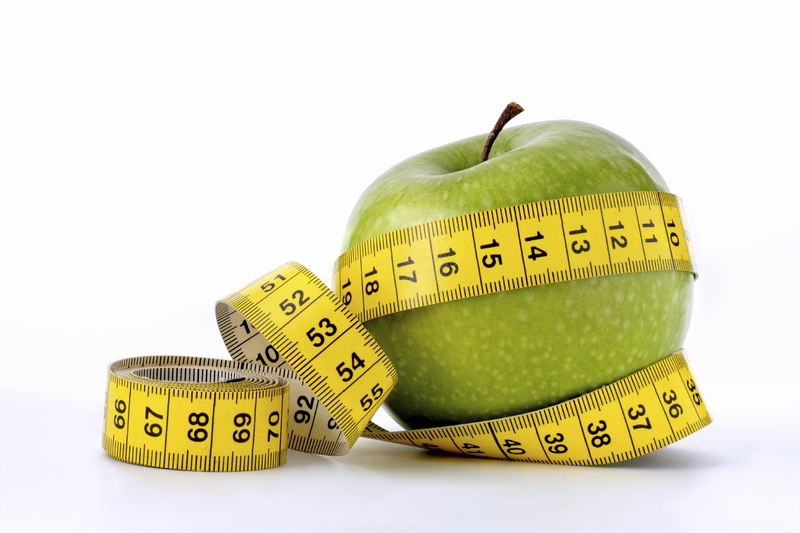 Despite dieting carefully and watching what you eat, you seem to continue to gain weight- and can’t ever get it off. You absolutely cannot go without a pair of big thick wool socks in the winter because your feet are cold all of the time. You experience brain fog that takes two or three cups of coffee to ‘fix’ and you wonder if that prescription anti-depressant is helping with that at all. If you’re struggling with hypothyroidism, you’re not alone. And I want you to know that you’ve come to the right place. I work with patients like you everyday. I help them find relief from their hypothyroid symptoms beyond medication. You see, there’s a couple of important things you need to know about hypothyroidism in order to get real relief from your symptoms. 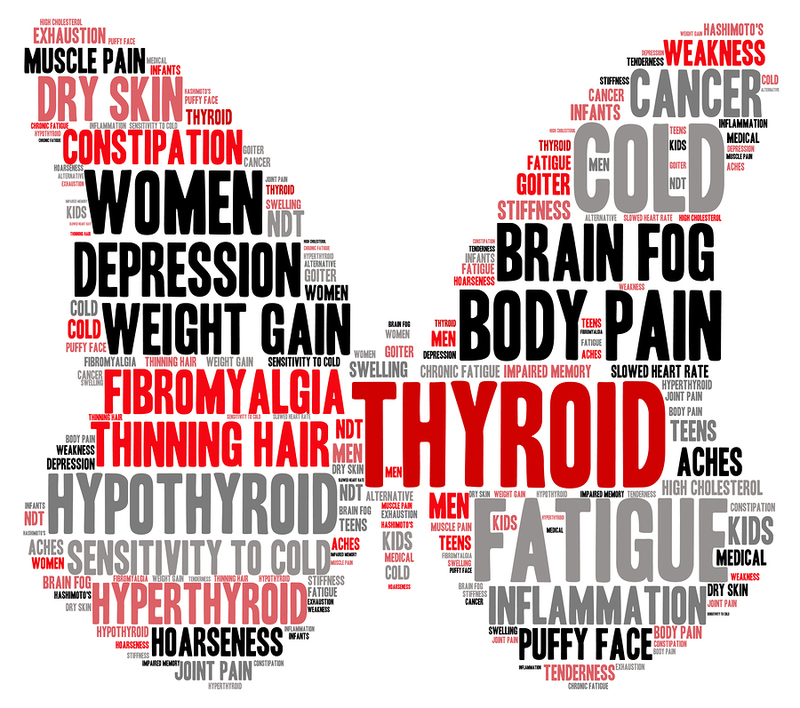 You need more than just TSH measured to assess symptoms of a hypothyroid. TSH simply measures the brain’s ability to stimulate the thyroid gland. However, to truly know what is causing an under-functioning thyroid, a full thyroid panel must be done and considered, including TSH, Total T4, Total T3, Free T4, Free T3, T3 Uptake, Reverse T3 and TPO antibodies. It is totally possible to have ‘normal’ TSH and still have hypothyroid symptoms! If T4 is normal for example, the brain will think there is plenty of thyroid hormone and not make as much TSH. But if there is inflammation in the body, which can inhibit the conversion of T4 to the active form T3, then not enough T3 can get into the cells where it has it’s effect. Thus, leading to signs and symptoms of hypothyroidism, even though TSH and T4 are within normal ranges! Many cases of hypothyroidism in the U.S. are actually the result of an autoimmune disease that attacks and destroys the cells of thyroid gland. This results in a decreased ability to produce adequate thyroid hormone over time. These folks often have to keep increasing their dose of thyroid medication in order to feel normal. In others, the right dose for them seems to be all over the map, fluctuating frequently. The only way to confirm Hashimoto’s is to do a blood test for antibodies to the thyroid gland. Thyroid peroxidase antibodies are the most common, but Thyroglobulin antibodies may be present too. Cases of Hashimoto’s hypothyroid are autoimmune diseases- the immune system needs to be addressed too! The sad fact is that many hypothyroid patients are giving prescriptions for replacement hormone and told that’s it; that’s all they can do and they will be on the medications for life. However, there is so much more that can be done! Implementing an anti-inflammatory diet and beginning to balance the immune system can retard it’s attacks on the thyroid gland. Focusing on a nutritious diet that decreases the inflammation can also help with stubborn weight loss and even help to regrow thinning hair. More importantly, correcting the immune system imbalance early can help prevent other autoimmune disease from developing in the future. If you’d like to read some indepth articles I’ve written about hypothyroid and Hashimoto’s, go here, here and here. You can also check out this short video. 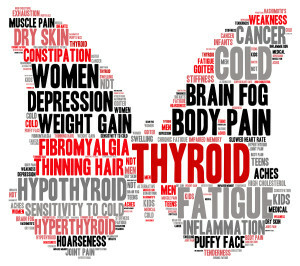 If you live in the Hudson Valley, have hypothyroidism and want to learn about holistic solutions for your symptoms, I invite you to call my office and learn more about how I can help you. I offer a risk-free, complimentary 15 minute consultation so you learn about how I can help you. 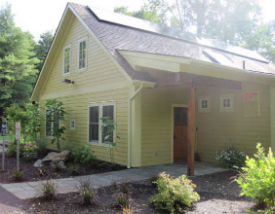 Call me today at 845-687-6387. This time of year, many people aspire to lose weight and get in shape in the coming year. When they say “lose weight,” almost all of us mean fat loss. Unfortunately, there is so much conflicting and just plain wrong information out there, that most people will start a program, see little if any results, and give up before February rolls around. So how do you break the cycle and find a leaner, fitter you? Fat loss is 80% diet. If you’re killing yourself with an hour a day on the treadmill or elliptical, then coming home and diving into pile of junk food because ‘you earned it,’ then the point is being missed. You’ve probably seen the popular meme “you can’t out run a bad diet.” It’s true. You can drop 10 or 15 pounds and still have terrible blood lipid or sugar numbers because of what you are eating. Isn’t the whole point of doing all that exercise in the first place to be healthier? Focus on aerobic exercise. During aerobic exercise, we are able to take in enough oxygen to preferentially burn fat for fuel, the holy grail for fat loss. This discovery is what lead to the ‘aerobics’ craze in the 80s. (Remember Jane Fonda and all that Lyrca?) The thing is, we’ve gotten so focused now on “burning off” all those offending calories that we’ve missed what constitutes ‘aerobic exercise.’ We think “no pain, no gain” (another terrible T-shirt from the 80s) and work harder. Except once you’re working at pace where you can no longer breath through your nose easily, you’ve exceeded this aerobic threshold. Said another way, you are no longer burning fat. Regular old walking is great aerobic exercise for fat loss. If you’re an endurance athlete, get a heart rate monitor and use the Maffetone method to calculate your aerobic threshold and then train only below that heart rate until you see fat loss. Strength train. The rate of your metabolism is primarily determined by the amount of lean muscle mass you have. More lean muscle tissue = a speeder metabolism. Also, we have some good data that shows that strength training and building muscle helps ‘partition’ your weight loss to make sure that it comes preferentially from fat tissue instead of muscle tissue. If you’ve experienced the pain of yo-yo dieting- where you lost the weight only to gain it back and again (and then some) this is your best strategy to prevent this from ever happening again! By strength training, you will keep your lean muscle tissue and therefore keep your metabolism revved up while getting rid of excess fat tissue. The best strength training to do is to lift heavy a couple of times a week in the big compound lifts like the squat, deadlift, press and pull-up. If you don’t know how to do these lifts safely, please seek qualified instruction from a certified and credential trainer or strength coach. For women, please do not worry about getting bulky from lifting heavy. If you lift heavy, for a short set of 4-6 reps and then give yourself a rest of 3-5 minutes between sets, you will signal increased strength without increased bulk (hypertrophy). Conversely, the best way to increase the size of the muscle is to do light weight and high reps. Also for the ladies, it is so empowering to lift heavy and see how strong and capable your body is! Strength training is a veritable fountain of youth for both men and women as its keeps joints strong and healthy while keeping metabolism high so as to prevent those extra pounds from creeping on each year. Exercise really hard on occasion. Once you’ve got all that down- eating an appropriate diet, walking or slow running (or whatever exercise method floats your boat) and strength training, then its time to add in a few bouts of sprinting. This only needs to be and should only be done 1-2 times a week and doesn’t have to be very long. One study found that women who sprinted hard on a bicycle for 8 seconds, followed by 12 seconds of rest for a total of 20 minutes, over 15 weeks, had lost 3 times as much body fat as their counterparts who cycled at a steady pace for 40 minutes. (Most of this fat was from their thighs and buttocks too!) Research shows that high intensity interval training has the ability to decrease insulin signaling (decrease fat storage), decrease blood glucose and increase fat oxidation- all in way less time than steady-state cardio. And it doesn’t take much. One or two, short high-intensity session as week is all you need. So there you have it- 5 simple steps toward obtainable and sustainable fat loss that will also help you become healthier in the process. Sure, there are other ways to lose fat- like crash dieting or becoming a cardio junkie, but those methods ruin your hormone balance and/or increase your level of inflammation and chronic disease risk. And if you’re just going to ruin your health in the end, what’s the point of doing all that hard work in the first place? If you’d like to start a journey towards losing fat and getting healthier in the coming year, but are unsure about how to start or need help staying on track, you may want to check out the New Year, New You! whole-food based cleanse that I am offering starting in January. You can learn more about the program here. First, I want to make sure that we are on the same page with their goal. If they want to lose 20 pounds and I’m reviewing their case and thinking we need to work on chronic systemic inflammation first, there obviously needs to be a conversation that takes place about reasonable expectations and time frames given the bigger picture of their current health. But the second reason I ask about their goals is that I want to know what motivates them and how committed they are to their goal. I very much view the doctor-patient relationship as a partnership. We work together. I provide the technical knowledge and know-how to help navigate toward the goal, but the patient must be willing to implement the plan. They must be willing to change their diet, cook more often at home, take their supplements regularly, do ‘homework’ exercises, etc. In short, they must be willing to show up consistently. Depending on how a person articulates their goal, I can get a sense very early on of what kind of results they might get. Inevitably, those who are clear about their goal and willing to show up consistently, get the best results and outcomes. Those who aren’t clear on their goals or express resistance at the changes suggested, unsurprisingly, don’t do as well. It’s as simple as this: I explain how gluten may be causing leaky gut and leading to systemic inflammation or antibody formation. Patient A goes home and adheres to a strict gluten-free diet for 30 days. Patient B goes home and ‘tries,’ but gives in a few times to the bread basket at a restaurant or just has to have a slice of pizza. When I see both for their follow-up, guess who is doing better? We live under the pervasive myth that change is hard. Its really only hard if you make it hard by resisting it. If you approach change with the simple willingness to show up consistently, its really not hard at all. “Showing up” for something is really just another way of saying “being present for.” When you are “present for something” you are directing your physical and emotional energy at that thing. Think of your energy as Miracle-Gro for whatever you direct it at- whether that be positive or negative! To take our plant analogy one step further, what happens to our plant if its not feed and watered regularly, consistently? It withers and dies eventually. Most people fail at their goals because they want a quick-fix. They want to show up once and magically have what they want. That’s why all those 3-day crash diets, super-low carb introductory phase, fad diets don’t work in the end. Their real crime is that they let people think they only have to do the hard work for a little bit of time to get lasting results. Note that “showing up consistently” is different than “being perfect and succeeding consistently.” Failure is inevitable on any journey- we learn more from our failures then our successes. When your focus is showing up consistently, then when you make a mistake or fail at something- you get right back to it. When you think that you have to be perfect and succeed consistently, then you’re ready to throw in the towel at the first failure. Have you done this before? You start a new diet protocol and the first time you eat a food that is “bad” for you, you think, “well, that’s it. I broke my diet. Might as well go eat some ice cream. And cake. And cookies.” Or “I ate 3 Girl Scouts cookies and broke my diet, might as well finish the box!” It’s OK if you have- we all have been there before. My goal is not to make you feel guilty, just to show you why you’ve failed at achieving other goals in the past. Showing up, being present and directing your energy towards a goal is a practice. People who are good at showing up consistently got that way by doing it repeatedly- that is by committing to being present for their goal, everyday. The good news is that we know from neurology- each time you make that choice- you make that neuronal connection, that association of your goal with an action, stronger. That means it gets easier to make that choice over time as you practice making it consistently! So that’s the first step to achieving any goal, whether it be to lose weight, get stronger, perform a bodyweight movement you haven’t done before, or regain your health after a period of illness. Commit to showing up consistently. Direct your energy positively toward your goal every day. It’s OK if you mess up sometimes, but keep showing up despite failures and missteps. Commit to the practice of showing up- make that your ultimate goal- and watch how quickly you achieve your other ones. Did you start a Paleo diet this year hoping to lose weight? Have you seen all the buzz about other people who have lost weight on a Paleo diet without counting calories, all while eating bacon and butter to their heart’s content? 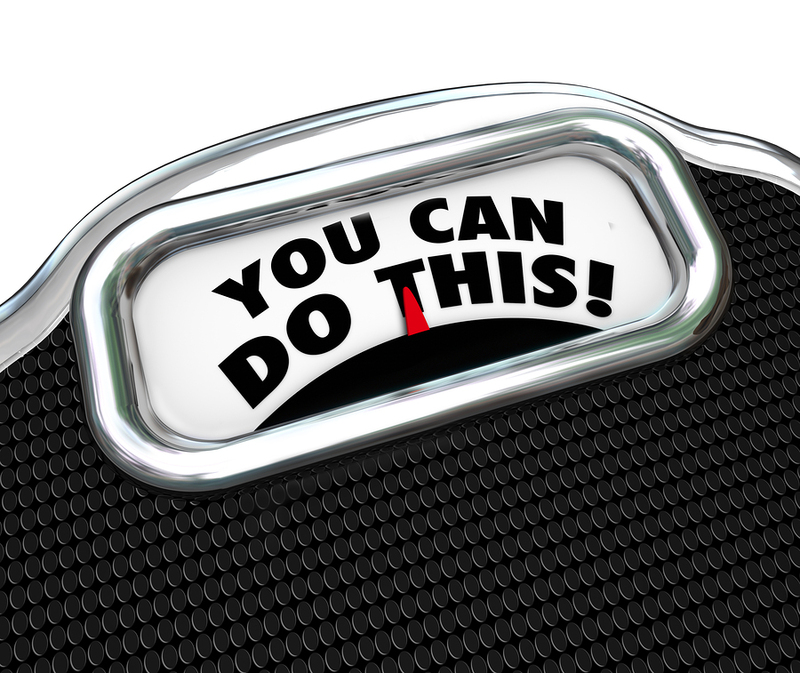 Are you becoming frustrated that you aren’t seeing the same results??? You aren’t alone!!! If you aren’t losing the weight that you want to, it doesn’t necessarily mean there is something wrong with you or that “Paleo doesn’t work.” There are several common mistakes that newbies and seasoned veterans alike make when it comes to Paleo eating for weight loss. I’ve made a few myself. In this post, I’d like to share with you 7 of the most common reasons people don’t realize their weight loss goals on a Paleo diet. You’re eating too much. At some point, calories do matter! I wrote more about this here, but the ‘unweighed, unmeasured’ ideal of Paleo works best for people who have a lot of weight to lose, who are making the switch away from a really poor diet to begin with or who already have good appetite control. If you only have 10-20 pounds to lose, already eat a decent diet, or tend to struggle with strong cravings or emotional eating, you really need to do some tracking of your caloric intake for a few days. You don’t need to to obsess about it, but you may find that you are eating 800 calories just in nuts. Or maybe you’ve been a little too liberal with the grass fed butter. Healthy fats are good for you and essential to a healthy diet, but remember that they do have more then twice the number of calories per gram as protein or carbs, so they are easy to overeat. You are too inflamed to lose weight right now. Whenever there is chronic inflammation in the body, cortisol is secreted in order to control and suppress the inflammatory response. It acts like the brake on the whole thing. Cortisol will also affect blood sugar regulation and under the influence of the cortisol, we tend to store more adipose (fat) tissue, particularly in the abdominal region. If you have unaddressed food allergies/intolerances, autoimmune disease or hormone imbalances, your cortisol is going to be too high and this will make weight loss more difficult. In this case, the first and primary focus should be calming down the inflammation. Once that is addressed you can begin to eat and exercise in a manner that will support your weight loss goals. You aren’t sleeping enough. Yes! You can sleep your way to a skinnier you! Sleep deprivation increases cortisol levels. Also during sleep, the body produces growth hormone, which helps build & repair muscle and burn fat. It has also been shown that a lack of sleep can lead to increased cravings and less ability to resist those cravings. If you aren’t getting enough sleep or aren’t sleeping well, you’re not going to be able to reap the full benefit from any exercise that you are doing or from the diet changes that you have made. Eight hours of sleep a night needs to be the minimum. Sleep in a dark room with as little noise as possible. Remove electronic devices from your bedroom. You can read more about good sleep hygiene here. You are over or under exercising. Exercise is a stress to the body. It works by actually tearing the muscles a bit or putting stress on the bones, and when the damage is repaired, our bodies make the tissue a little bit stronger in order to be better prepared for future stresses. This means that adaptation and the benefit from exercise technically comes from the REST period AFTER the actual physical exercise! So if you are doing hard workouts 5-6 days a week, going for broke every time, you are probably over training and causing too much stress and damage while not giving the body a chance to repair and adapt to the stress. 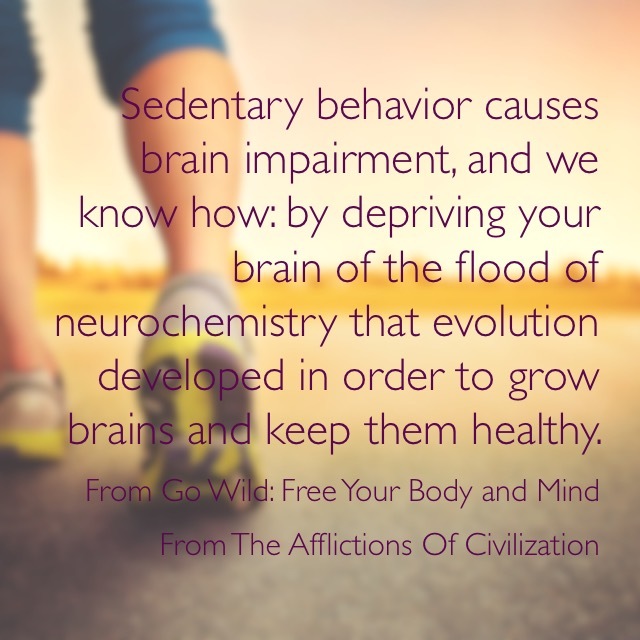 At the same time, if you aren’t doing any sort of physical activity and you have a pretty sedentary job or sedentary hobbies, you may not be giving your body enough of a stimulus to lose weight. At the end of day, fat loss depends on a calorie deficit. The most fun and beneficial way to do this is to eat a nourishing, whole foods Paleo diet while increasing your activity a bit. 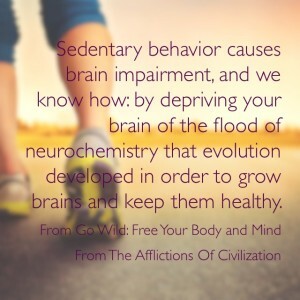 You don’t have to be an exercise junkie or have a gym membership, just try incorporating more walking into your day, riding a bike to do errands in town, etc. You can also find plenty of quick, bodyweight exercise routines you can do from home on the internet. Jump squats, push-ups, pull-ups, planks, burpees are all great full-body exercises that can be done in various combinations and sets to get a short HIIT workout in without even leaving your house. You aren’t eating enough protein. Protein helps repair muscles and tissue and also provides satiety from a meal. A minimum standard for protein is 0.8 grams per pound of body weight. If you are trying to lose weight and especially if you are exercising more, I recommend people aim for 1 gram per pound of body weight in protein a day. (Also, the math is WAY easier!) So a 150-pound person should aim for 150 grams of protein a day. A large egg contains approximately 7 grams of protein. So if you are only eating 1-2 eggs in the morning, you might need to add a denser source of protein to your breakfast. Try adding some leftover chicken, pork or beef from dinner the night before. I also like to add a tablespoons of grass fed beef gelatin to my coffee for additional 12 grams or so of high quality protein. You are eating to many nuts/snacks/treats. I find a lot of people are addicted to snacking. A question I hear often, is “what can I eat for snacks?” Ideally, you shouldn’t need snacks. If you have to pound two fistfuls of almonds between breakfast and lunch or you become a hunger monster, then you aren’t eating enough protein and/or fat at breakfast. Nuts are great and certainly worth eating, but because of their portability and Paleo-friendliness, a lot of folks new to Paleo over-do them at first. I also see people go over board on the Paleo ‘treats’- muffins, cookies and breads made with almond or coconut flour instead of regular white flour. These can pack an even greater caloric punch without having the same feedback mechanism that tells the brain, ‘stop, I’ve had enough’ as the whole food. Treats should be just that- occasional treats, not everyday food items. The same goes for snacks. Nuts can be great to carry around and have when you’re in a pinch, but if you are trying to lose weight, don’t rely on having them everyday as a ‘snack.’ Before having a snack, check in with yourself to make sure you are legitimately hungry. A lot of people snack for reasons other then hunger- they are bored, stressed, tired or even just because its a certain time of the day. If you aren’t hungry, then find something else to do to break the habit. Drink water, stand up & stretch or even just do a mini-meditation session where you take 10 deep breaths, and just focus on the breathing. If you, however, legitimately hungry then have your snack and try to make tweaks to your next meal to make it more satisfying for longer. Have you been making any of these common mistakes? Feel free to share your experience in the comments below! In my last post, I explained why the simple “eat less, exercise more” approach doesn’t work for everyone. I laid out how several different hormonal systems of the body regulate and control metabolism and appetite. Severe calorie restriction diets often don’t work, certainly not for the long term, because these hormone systems are designed by nature to decrease our metabolism and to store fat as a way to survive if the amount of food going into our bodies is too low. Many of the patients I work with in my practice have metabolic dysfunction. Their hormones and endocrine system are all over the place from years of stress and chronic illness. Because of this, I encourage them eat freely of a healthy, Paleo-type diet, the type of diet that will allow them to begin healing the metabolic dysfunction by stacking their diet with the most nutrient dense foods available. Their first priority is to heal the metabolic dysfunction. But what about the healthy person who just wants to get fit, lean out and maybe drop a few extra pounds of fat? Or what about the person who has been following a Paleo diet for a while, but would like to make some progress on some aesthetic goals? For people with this sort of goal, monitoring calorie intake and maintaining a calorie deficit is what they will probably need to reach their goals. You are generally active and healthy and just want to drop a few extra pounds of fat. You have a history of disordered eating and have not learned to eat according to actual physical hunger. The key to making a calorie restricted diet effective for the long term is to keep the calorie deficit mild. If you are say, a moderately active 140 pound woman with TDEE (Total Daily Energy Expenditure) of approximately 2,100 kCal a day, suddenly dropping calories to 1,200 calories/day may trigger some of these hormonal mechanisms that will slow your metabolism and make weight loss difficult. It also means that when you return to “normal” eating you are more likely to gain back all of the weight you lost. So if you are going to go to the trouble of counting and monitoring caloric intake, use the following strategies to insure that your hard work and effort pays off and that you can maintain your new, HEALTHY body for the long term. Gradually increase your caloric deficit. If you are aiming for a 500 calorie/day deficit, start with 100 calories one day, then 200 calories the net and so on. This is less likely to flip off the “warning bell” systems in the brain. Consider keeping calories from food constant and burning more through exercise. An extra 10 minutes of cardio at the gym, doing errands on bike or by foot where possible, and playing outdoors more are all ways to increase your calorie a burn a bit more each day without feeling like you need to ‘refuel’ more to keep your energy up. Lift weights. When people say they want to lose weight, they usually mean they want to lose fat. When dieting alone, the body will burn fat, but it will also burn some lean muscle tissue as well. Lean muscle tissue is very metabolically active and the more lean body mass we have, the more calories we burn at rest, so its important to preserve as much of it as possible. The research is clear. When restricting calories, people who lift weights while dieting lost less lean muscle tissue then those who simply restricted their calories. Since the amount of weight each group lost was similar, this means the group that lifted weights lost more fat tissue then those who did not. The other bonus to lifting weights and maintaining your lean body mass is that when you return to ‘normal’ eating, your BMR (basal metabolic rate, or the rate of your metabolism at rest) while be higher, meaning you’ll burn more calories at rest then if you had lost lean muscle tissue. This helps to prevent the rebound or ‘yo-yo’ effect of dieting. Get some sleep. Several studies have shown that when people are deprived of sleep, they eat more calories and make poorer food choices the next day. This seems to be related to cortisol and stress mechanisms that protect the brain. Getting enough sleep also helps you recover from exercise and may increase you metabolism by boosting levels of growth hormone and testosterone release, both of which help to boost your metabolism. One of the reasons that the Paleo diet helps so many people lose weight is that they decrease inflammation and subconsciously decrease their caloric intake as well (usually). Whole foods are nutrient-dense, but not as calorically-dense as processed foods. In many cases, this creates enough of a calorie deficit that many people will lose weight, especially if they increase their activity level a bit. However, if you are eating a whole-foods diet, have cut out all the junk and are still having trouble losing weight, it may be time to go over your diet with a fine tooth comb, count up the calories and see where you might be “leaking energy” or unconsciously taking in more calories then you need. I did this recently and discovered I was probably taking in way more healthy fats then I needed to be. With this awareness and a little work to maintain the calorie deficit, you can be on your way to reaching your aesthetic goals in a healthy, effective manner.